Home > Blog > Here Comes Summer! After the glorious weather here over the weekend we are getting very excited about Summer! We have been working on a new collection of summery/travel themed bags and pouches over the last few months and were very pleased to get our delivery of them last week. We couldn't wait to share them with you so are giving you a little sneak peek today! There are two new big canvas bags, two new zip pouches and three new totes all perfect for holidays, weekends away and adventures! 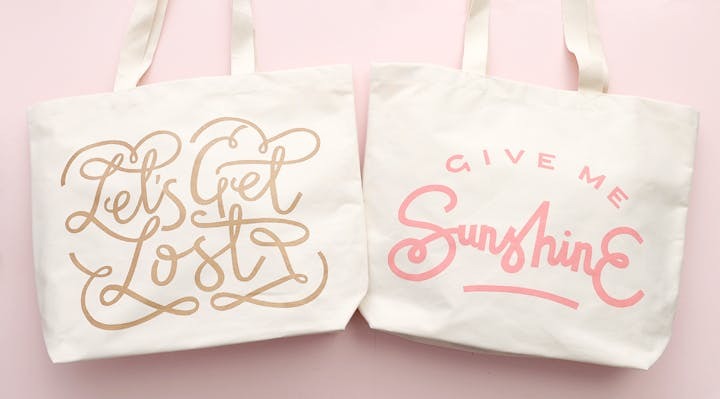 Each design has been hand lettered by our lovely Lucas and stitched and printed here in the UK. The big canvas bags are a lovely large size, with plenty of room for all your vacation essentials. Suitable for carrying by hand or over the shoulder, there is also a handy internal pocket, perfect for your little bits and bobs. 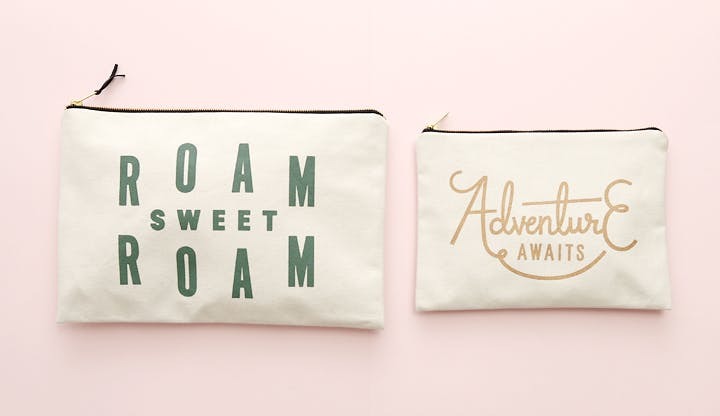 Say hello to our two new travel pouches: ''Roam Sweet Roam', a roomy XL pouch and 'Adventure Awaits' a lovely large pouch with metallic bronze lettering. Our extra large travel pouches are ideal for travelling, perfect for keeping all your important documents and travel essentials safe and snug. These versatile pouches are also great for storing makeup and make a lovely everyday clutch bag too. 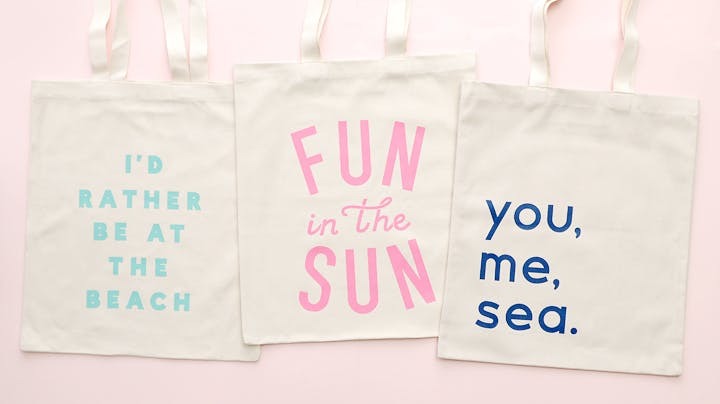 And last but not least there are three new tote bags, perfect for fun days out! Our totes are designed and custom made in the UK with great care by lovely ladies and gentlemen. We only use the most terrific heavy weight cotton and all designs are screen printed by hand. We hope you like our new summery things! Hoping to have these online in the next week or two so keep your eyes peeled! If you have a holiday or trip coming up and must have one of our new bags or pouches before they go online please just shoot us an email via the contact page and we can sort you out.